Explore the historic and fascinating Korean Peninsula! Have you ever dreamed of visiting South Korea? Do you wish you knew more about this rich ancient and modern culture? Are you preparing for your own trip to South Korea? If so, this is the audiobook for you! 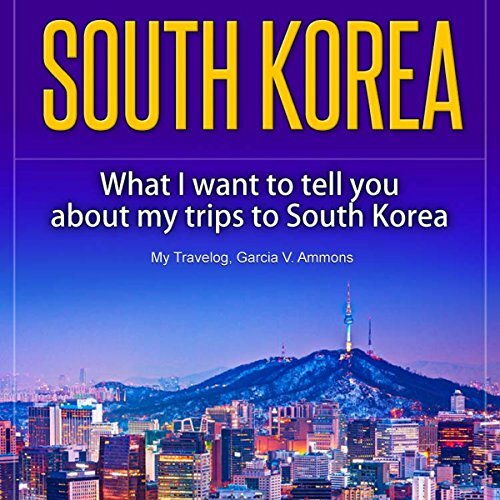 You’ll revel in the author’s adventures in South Korea...being chased by a lifeguard in a speedboat, walking among a thousand unique Buddhist statues, eating Korean barbecue - and even island-hopping! From relaxing in saunas and spas to wandering through ancient fortresses...the author experienced the length and breadth of South Korea. In this epic travelog, you’ll even learn about staying in ancient temples and visiting the demilitarized zone! There’s even an extensive section on the many culinary delights of South Korea - including oysters, kim-chi, and dok-galbi! Don’t wait another minute to start your South Korean adventure - download My Travelog: South Korea right away! Take your first steps into this amazing world!